Mom Accused of Choking Daughter's Tormenter Says Bully Hurled "Racial Slurs"
A 12-year-old boy made "racial slurs" at a woman's 10-year-old daughter, but the mother "adamantly denies" ever grabbing the fifth grader by the throat, the woman's attorney said Tuesday. Speaking by phone, criminal defense attorney Ben Adams said that Delia Garcia-Bratcher acted as any mother would after a boy at Olivet Elementary Charter School in Santa Rosa allegedly bullied her daughter last week. A Sonoma County Sheriff's deputy arrested the 30-year-old mother on Saturday on one felony charge of inflicting injury on a child after alleging Garcia-Bratcher left red marks on the boy's throat when she came onto campus Friday. Garcia-Bratcher was released from custody after posting $30,000 bail. As of Tuesday, her arraignment is now scheduled for Thursday at 8:30 a.m.
Sheriff's deputies arrested a Northern California mother for allegedly grabbing a fifth grader by the throat after her son pointed him out as the student who was bullying her younger daughter. Mark Matthews reports. In an interview with the Santa Rosa Press Democrat, Garcia-Bratcher said the boy called her daughter a "dirty Indian," and that she spoke to him about the name calling on Friday. Adams did not have firsthand knowledge of the specific insult, but he did tell NBC Bay Area that "racial slurs" were made. He said Garcia-Bratcher is Native American. 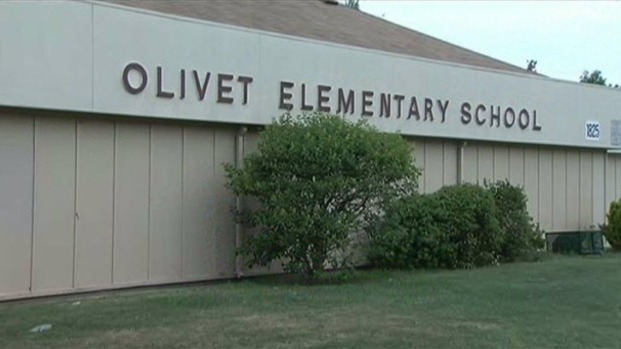 He also insisted that his client "adamantly denies doing that" in regards to putting hands on the boy's throat, despite pictures of red marks teachers took afterward, according to the sheriff. A Santa Rosa mom is accused of grabbing her daughter's bully by the throat at school. Christie Smith reports. Lt. Steve Brown on Monday said that after further investigation there was no direct evidence of bullying between the fifth grade boy and the 10-year-old. "We are unable to find any nexus between the two students and are unable to determine if any bullying ever occurred between the two," Brown put out in a statement. Adams did acknowledge, however, that Garcia-Bratcher confronted a boy she felt was bullying one of her six children. "She's a mom," he said, "and she appears to be a good mom. She told the boy to stop it and leave her daughter alone. Stop being a brat and stop calling her names. It's something anyone would do."